Photo: The ASEAN Night Bazaar. With sprawling markets stuffed downtown and large shopping centres and night bazaars dotting the outskirts, Hat Yai promotes itself as a shopping destination for Southern Thailand and Northern Malaysia. Browse places to stay in Hat Yai on Booking.com. Book Now - Pay Only When You Stay. The best-known market is Kim Yong, consisting of tightly packed roofed lanes spanning two floors between Phet Kasem and Supasarnrangsan roads downtown. 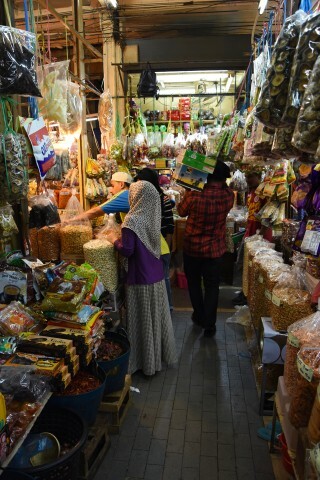 Dried fruits, cheap electronics, knock-off DVDs, second-hand clothes and locally made soaps are among the items that vie for your attention in this maze-like market. It’s a bit more spacious up on the second floor, where a shop towards the front sells vintage cowboy hats and leather goods. A short walk south from Kim Yong takes you Suntisook Market and Asian Market, both in the vicinity of the Asian Hotel. Especially on weekends, these have similarly cramped atmospheres that reminded us of Bangkok’s Chatuchak Market. Chinese statuary, cheap jeans, caps and luggage are all popular goods sold here. Out on the east side of Hat Yai off Karnchanawanich Road and near the main bus terminal, Greenway Night Market and ASEAN Night Bazaar are similarly spacious markets with dozens of stalls offering food, clothing and knick-knacks under broad pavilions. We checked out ASEAN (Greenway closes Mon-Tue) and felt it was worth a trip only if you’re a die-hard shopper in need of cheap sunglasses, underwear and T-shirts. Chief among Hat Yai’s air-con shopping centres is Central Festival next to the main bus terminal. With a cinema, food court and plenty of name-brand stores and trendy chain restaurants, it’s the largest shopping mall in Southern Thailand. The Central brand also has a department store next to Centara Hotel off Prachat Uthit Road downtown, where you’ll find the Odean Shopping Centre and a Robinson Department Store near the train station.